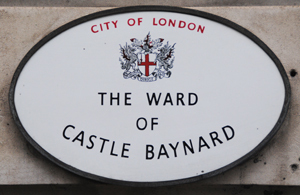 His name was once given to a prominent London fortification, Baynard’s Castle, and now lives on in a City of London ward – Castle Baynard. But who was Ralph Baynard? A Norman nobleman, Baynard was among those who accompanied William the Conqueror when he invaded England in 1066. He was rewarded with a barony centred on Little Dunmow in Essex; the parish church was founded by his wife, Lady Juga, in 1104, and their son Geoffrey founded an Augustinian priory dedicated to St Mary there in 1106. 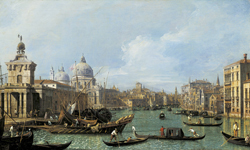 Ralph Baynard was also granted permission to build Baynard’s Castle in the City of London – it sat where the Fleet River entered the Thames. He is said to have died in the reign of William Rufus, aka William II, who ruled from 1087 to 1100. Baynard’s Castle in London was eventually razed by King John in 1213. Baynard’s name, meanwhile, may also live on in the district of Bayswater. • 29 St James’s Place, St James: Having been born at Blenheim Palace in Oxfordshire and then having spent time in Dublin, at the age of five (1880) he came to live here with his family. 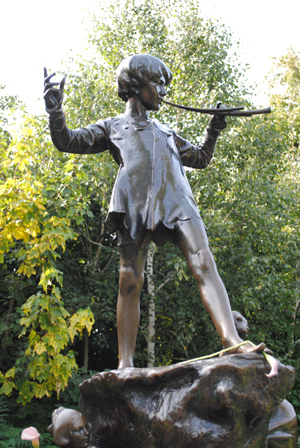 He remained here until 1882 when he was sent off to school in Ascot (he later attended schools in Sussex and, most famously, Harrow School). The family, meanwhile, moved to a townshouse at 2 Connaught Place which backed on to Hyde Park. 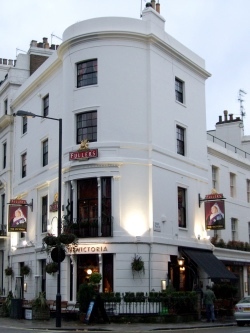 • 33 Eccleston Square, Pimlico: The Churchills moved here in 1909 and it was here that their first two children Diana and Randolph were born in 1909 and in 1911. The family remained here until 1913. A blue plaque marks the property. • Admiralty House, Whitehall: The Churchills first moved into Admiralty House – part of the Admiralty complex on Whitehall – in 1913 (from the aforementioned Eccleston Square) after Churchill was made First Lord of the Admiralty. They remained here until 1915 – years he would go onto to describe as the happiest in his life – before he resigned but returned in 1939 when he was once again appointed to the position. • 2 Sussex Square, Bayswater: In 1920, the Churchills bought this property just north of Hyde Park which they kept until 1924 when they moved into 11 Downing Street (see below). The property is marked with a blue plaque. • 11 Downing Street, Whitehall: The Churchills lived at 11 Downing Street when Sir Winston was Chancellor of the Exchequer, from 1925 to 1929. The property, located in Downing Street, is not accessible to the public. • 11 Morpeth Mansions, Morpeth Terrace, Westminster: The Churchill family lived at this Westminster address between 1930 and 1939 (prior to him becoming Prime Minister). The property is marked by a brown plaque. • 28 Hyde Park Gate, Kensington: Churchill died in this Grade II-listed, mid 19th century property on the morning of 24th January, 1965. The couple moved in after the end of World War II and, while it’s not clear whether they fully vacated the residence when he was prime minister between 1951-55, it remained their property until his death 10 years later. The property next door, number 27, provided accommodation for his staff. The property is marked with a blue plaque. 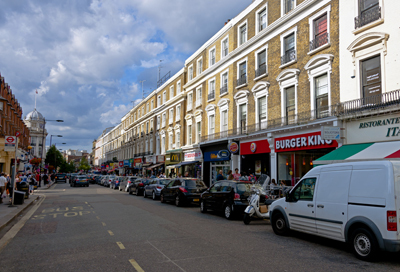 Now perhaps best known as a Tube station and a street and square in Bayswater, just west of the City, the name Lancaster Gate was actually first applied to a gateway located on the northern side of Kensington Gardens, close to where the ornamental water gardens known as the Italian Gardens now stand. The gate is believed to have been named after Queen Victoria, in her capacity as the head of the Duchy of Lancaster (since the days of King Henry IV, the duchy has been the personal property of the monarch). The nearby housing development of Lancaster Gate, centred on Christ Church followed in the mid 1800s (designed by Sancton Wood). The church closed in 1977 and was turned into housing in 1983; all that now remains architecturally are the church’s tower and spire. Among people associated with the street is the Ethiopian Emperor Haile Selassie who resided in a hotel here at the start of World War II. The Tube station where bears the name Lancaster Gate opened in 1900. For more on Tube station names, try Cyril M Harris’ What’s in a Name? : Origins of Station Names on the London Underground .